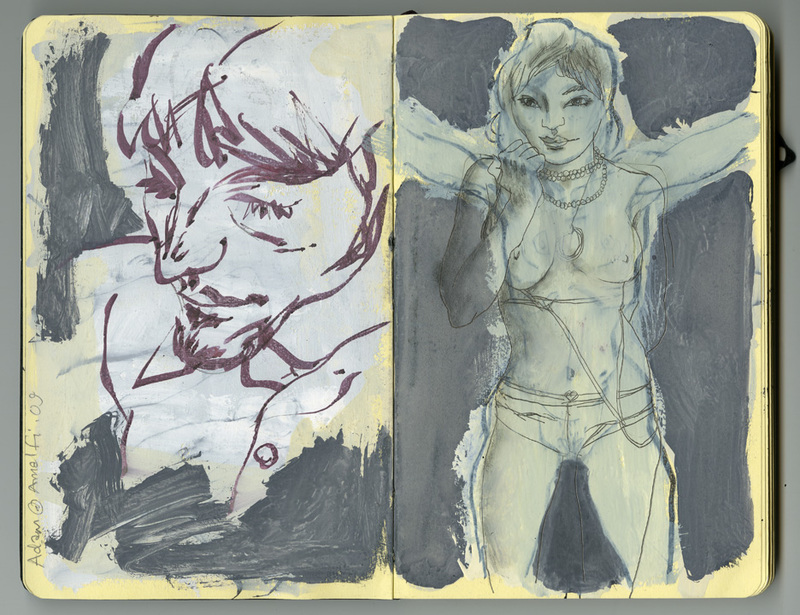 This entry was posted on	January, 2010 at 12:50 am	and is filed under Sketchbook Drawings. Just discovered your work in The Fountain and began revisiting old favourites like Egon Schiele. i was inspired after years of neglect, to pick up my paint cans last night and express myself. Come to London for an exhibit, ive got a place to crash! New stuff! I missed your posts!